Washington DC is not just a district where politics rule. It is also a center of education and businesses. This is one of the best places to get a degree or launch your career. In fact, there are people from nearby states who visit this city to either study or work. Washington DC has a number of highly accredited universities. People who are seeking higher education would not be disappointed. 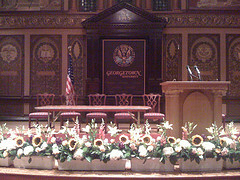 Washington DC is a political town and the best schools like Georgetown University and George Washington University have political connections. Students who wish to launch their political career may enroll here. Their international political programs are considered the best. There are also other notable universities such as American University, Catholic University, and the University of the District of Columbia. You can also find here the only university for the deaf and that is the Gallaudet University. The Howard University is a highly esteemed black university which is also found in Washington DC. For those who wish to join the military, National Defense University is the best choice because it is highly prestigious and exclusive. If you are planning to study in Washington, select a university and fill out necessary forms. There are certain careers for which DC can be considered as a natural home. Apart from the obvious politicians, this is where you can find lawyers, diplomats, civil servants, journalists and other related professionals. International visitors could pursue career in the field of NGO, lobbying groups, embassies and consulates. There are ambitious young people who seek internship in Washington DC. You can find a lot of them during summer. There are so many powerful careers that you can find in Washington DC. They are bound to change the world. Child care and nannies are also common. They mainly serve the Washington’s elite. There are numerous in-house childcare facilities found in the area. The normal wage can go up to $800 a week that includes boarding. The city is also careful regarding security clearance. If you are not a US citizen, you are required to have a working visa. 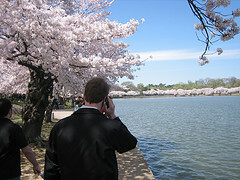 There are placement agencies that can help you find work in Washington DC. Make sure to select the one that is legal and highly accredited. Launching your career in Washington DC is easy especially if you are aware of the process.